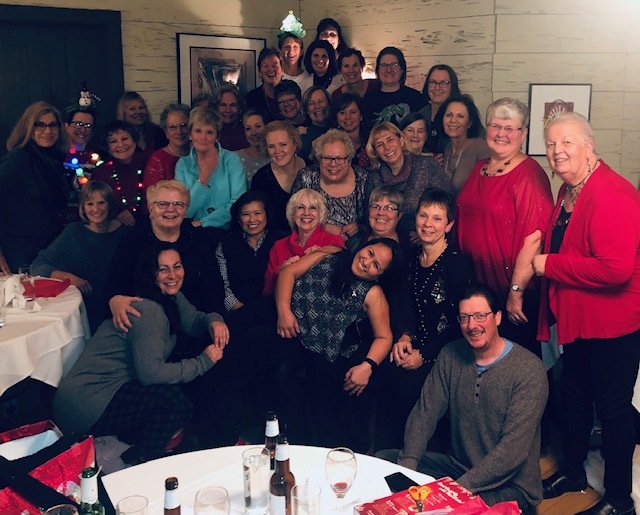 In March of 2006 several women met in the cancer center of Wheaton Franciscan Cancer Care – All Saints, Racine, Wisconsin to talk about starting a breast cancer survivor’s dragon boat team. They named themselves Pink Paddling Power and one of the members designed the team logo and they were off and running. The mission of the Pink Paddling Power Dragon Boat Team is to provide an opportunity for education about Breast Cancer Survivorship, and training and competing in the sport of Dragon Boat Racing. In addition, the Pink Paddling Power Dragon Boat Team and its members will serve to support and promote the recreational and health benefits of Dragon Boat racing for Breast Cancer Survivors and act as ambassadors for Ascension All Saints Cancer Care and the Racine community.